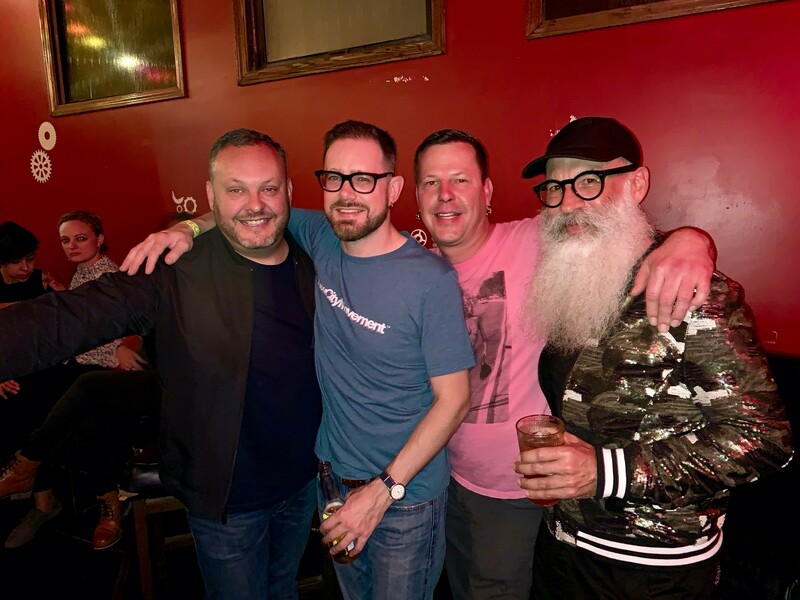 Despite a dreary week of weather, good vibes radiated from Bricks last Saturday night, when New City Movement’s 20 Years Deep party gathered some of Salt Lake City’s best DJs to spin in three different rooms. Hip-hop grooves reigned supreme in the Fice Eats Beats Gallery while deep grooves transported the dancers braving the chill on the V School Technotronic Rooftop. Meanwhile, in the main room, New City Movement founder Jesse Walker provided the perfect warm-up for Los Angeles warehouse rave legend Doc Martin, who spun for three hours. After 1 a.m., the few hundred revelers in attendance all came together on that main dance floor for an hour-long grand finale that exploded with positive energy under the pulsating lights and giant disco balls. Add in fresh-made cotton candy, eye-popping costumes and divine dance moves and we truly enjoyed a party to end all parties. Tonight, Monday, Oct. 8, the party continues in a different vein at The State Room, where Australian post-rock icons The Church will celebrate the 30th anniversary of their landmark album Starfish. Although they’ve released 25 albums over 35 years, the band catapulted to cult status when Starfish’s lead single “Under the Milky Way” was featured prominently on the soundtrack for 2001 film Donnie Darko. More recently, R&B superstar Sia covered it, giving The Church another layer of contemporary street cred. Tickets are sold out but the secondary market is always an option. 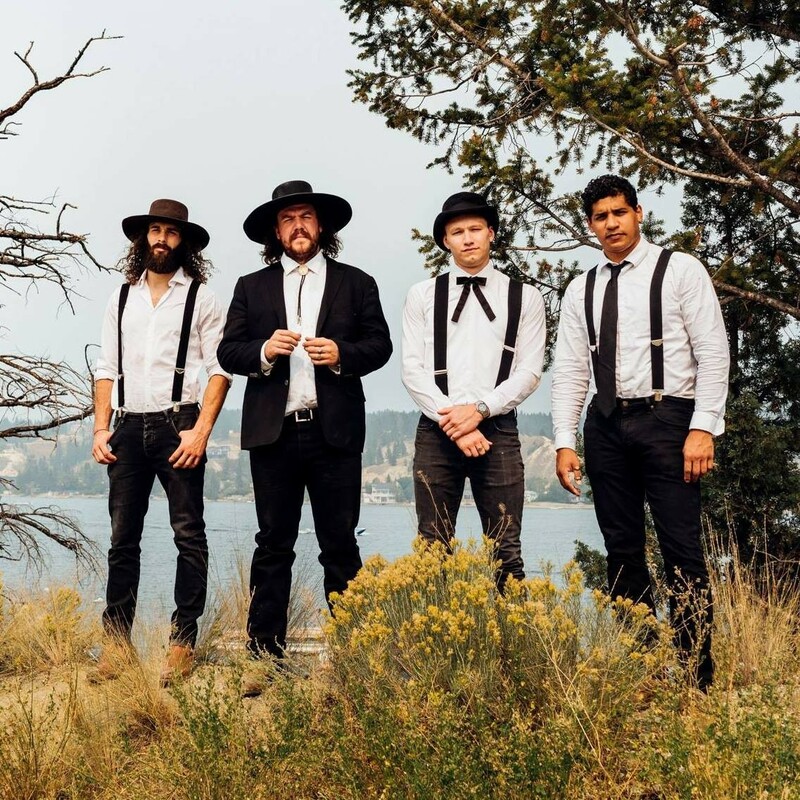 A Southern gothic atmosphere will descend on Salt Lake City from the north on Tuesday, Oct. 9 when Saskatchewan bluegrass band The Dead South appear at The Depot. Lazy critics have referred to The Dead South as “Mumford & Sons’ Evil Twins,” but let’s be honest—Nate Hilts, Scott Pringle, Danny Kenyon and Colton Crawford rock way harder than those sell-outs from across the pond. Arrive early for hell-raising Texas trashgrass openers Whiskey Shivers and The Dead South’s Canadian compatriot Del Suelo, an alt-pop auteur and author of exceptional literary fiction. On the same night at Metro Music Hall, offbeat label Stones Throw Records brings four of its most promising up-and-comers to town. Headliner Jerry Paper has an excellent R&B album, Like a Baby, coming out later this week and will perform with a full band; openers include Kiefer, Stimulator Jones and Prophet, who all bring far-flung talents to the table. Kiefer is a pianist and producer who’s worked with Moses Sumney, Kaytranada and Anderson .Paak; Stimulator Jones blends disco, pop and hip-hop to romantically intriguing effect; while Prophet is an old-school funk icon from the Bay Area who released his first album in 34 years earlier this summer. Don’t miss this opportunity to draw a skewered line from the past to the future of urban music. On Wednesday, Oct. 10, modern rock gets its time in the spotlight when rising Los Angeles duo The Score bring their uptempo, radio-ready stomp to The Complex with openers The Orphan the Poet and Birthday. The Score’s recent hit “Legend” sounds straight out of a commercial, but its video pays tribute to first responders around the United States, giving legendary credit where it’s most definitely due. Watching established artists break out of their comfort zones is always intriguing, and on Thursday, Oct. 11, Rusted Root frontman Michael Glabicki will explore another side of his Americana/world beat mash-up at The State Room. Touring as a duo with Rusted Root guitarist Dirk Miller, you can expect reinterpretations with old hits along with new visions like “Man Is Not a Machine,” which Glabicki wrote to capture the spirit of dancers at his shows. Finally, dark electronica keeps the haunted October mood going on Friday, Oct. 12 at The Urban Lounge, when Detroit’s ADULT. appears with industrial metal opener Plack Blague and locals Ani Christ. ADULT.’s new album This Behavior was written in a remote cabin in the Northern Michigan woods, with Nicola Kuperus and Adam Lee Miller breaking free of the constraints placed on them by previous releases. Expect incessant punk-influenced loops, aggressive dance floor revelries and icy black acid techno stomps.